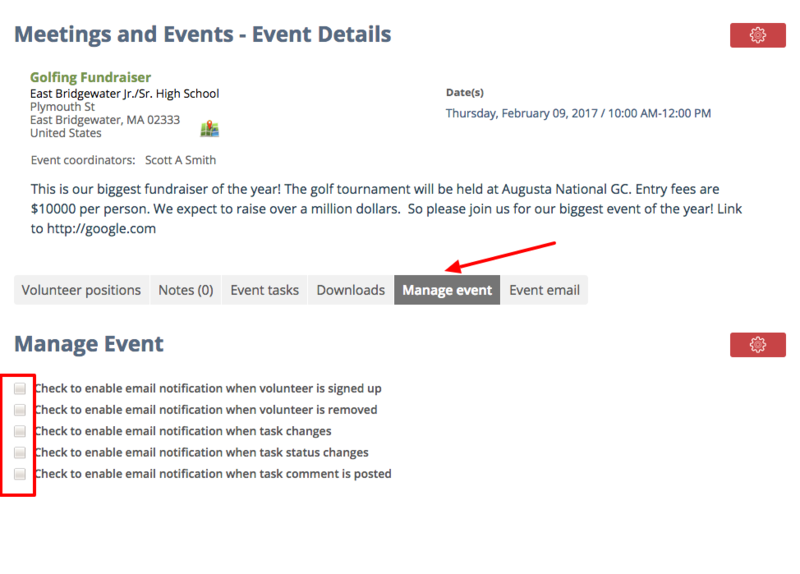 Administrators are allowed to manage event notifications. 2. 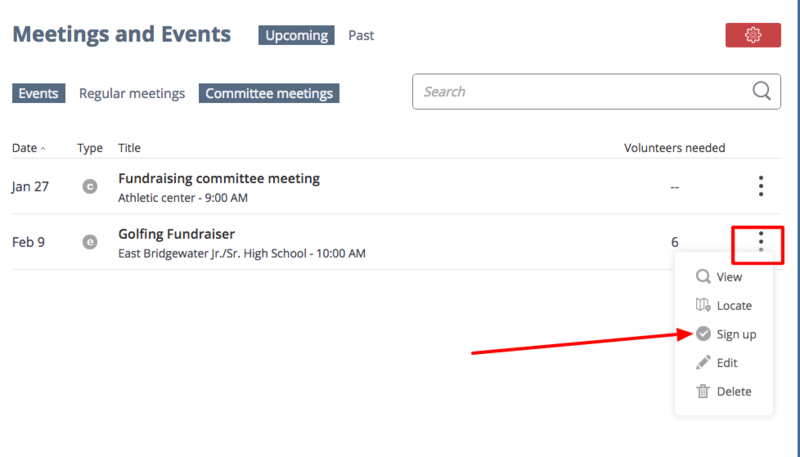 Choose any event that requires volunteers then click the button to display more options and select Signup from the list. If the event has volunteer positions, the Signup button will show. 3. Select the Manage event tab. 4. Mark the designated checkboxes for each notification that you would like email alerts.